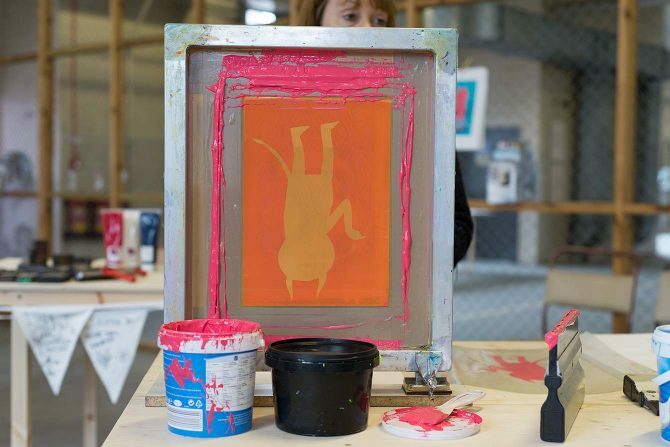 Join the Learning team from Dundee Contemporary Arts for a series of drop-in printmaking sessions, using the ever-changing city of Dundee as our starting point. Join the Learning team from Dundee Contemporary Arts for a series of drop-in printmaking sessions, using the ever-changing city of Dundee as our starting point. Inspired by the vast Print City installation, we’ll make our own screen prints based on Print City designs, assemble some 3D models and create our own badges. Come along to print your city and make your mark.